According to the Federal Aviation Administration Runway Safety Report (2004), vehicle deviations accounted for 20% (291 events) of all runway incursions during the four and a half-year period of 2000 through 2003. 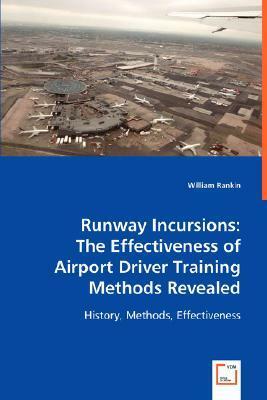 The focus of this book examines if a relationship existed between the methods used for airport movement area driver training and the number of incursions at the largest U.S. towered airports. Airport driver training officials at 35 of the largest U.S. airports were surveyed using a five-point Likert-type survey. The data from this examination reveal that a relationship exists between the methods used for airport driver training and the number of runway incursions at the largest U.S. towered airports. The data from this examination might help to reduce airport liability exposure, property damage, and lower airport liability insurance cost to airport owners worldwide.